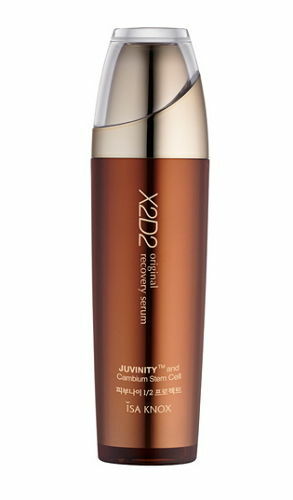 This is the core of the Total Regimen - the X2D2 Original Recovery Serum. This is the essecne that specifically targets the symptoms of a dry and aging skin.With this formulation, you can embark on a Recovery Project for a youthful, glowing and dewy skin. Formulated with Cambium Stem Cell that nourishes damaged skin due to aging and in the process, recovers the health and beauty of your skin. 2. Go to Step 3 in the X2D2 Original Recovery Regimen.